We offer a wide range of leadership communication, leadership development and executive coaching. We focus on developing effective leadership presence, voice, speech, presentation and influence skills and the transformational leadership skills to provide inspired leadership. The world needs more inspirational leaders and communicators. We develop them. 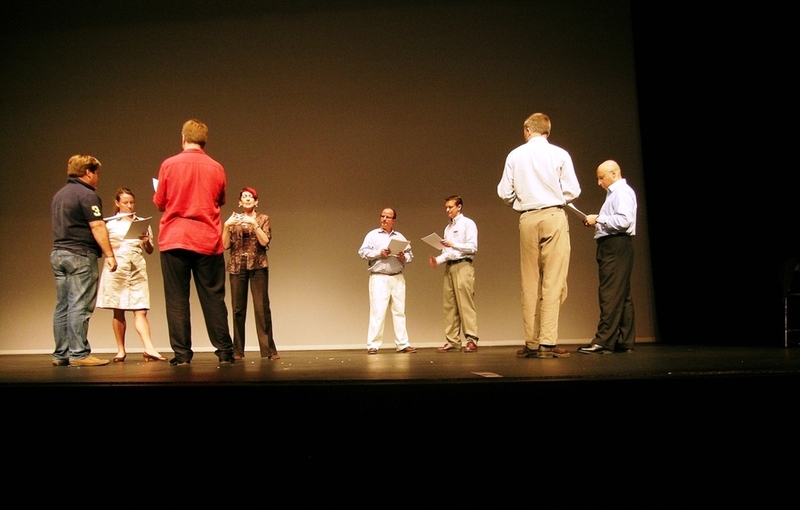 Theatre of Leadership combines transformational leadership development with presence, voice, and performance skills training for forward thinking businesses and individuals seeking to build their unique leadership capability. We develop leaders able to step into the spotlight of attention, inspire confidence, exert influence, achieve high-level engagement, and provide the brand of inspirational leadership and communication skills required to take organisations from good to great. Presence, Voice and Presentation Skills training to inspire, influence and achieve results. A tailored 2-day workshop for senior, mid-level and high potential talent. Also offered as an Open Program. Be more credible and compelling. Sharpen up your presentation and delivery with our personal coaching. Everyone needs more presence, confidence, influence and impact. We help you review your personal presentation impact and advise on a development plan to enhance it. Learn how to get better traction for your leadership agenda by making your leadership messages more strategic, potent and inspiring using our INSPIRE model. A personal coaching program for leaders who want to take their leadership communication, influence, key relationships and employee engagement to the next level. Training in effective feedback & coaching techniques to help those in leadership roles release potential, get best performance, encourage talent and keep it. A tailored transformational leadership development program putting the strategic, relational, collaborative and enabling qualities of leaders in the spotlight. A unique, powerful team building experience to explore the human dimensions of leading and build better teaming. This leadership development process takes an action-learning approach built around the 'in-situ' leadership challenges and opportunities facing specific teams. We can provide you with personal coaching in face-to-face sessions or via video-conference, Skype or telephone. You can also send us videos, speeches or recordings to critique and we’ll provide you with feedback and suggestions. We can make a dramatic difference. We get results. Talk to us now on (03) 9699 6444 or 0419 534 713. Invite us to contribute to the success of your next conference or training day. Call us to discuss a topic that might suit. We design and deliver programs of varying duration. Some of our programs run from 6 to 12 months. We can also deliver a short session as part of an existing company program you run, or for a conference. Our contribution can vary from 1.5 hours, 2 hours, half a day or a whole day. Veronica and Charles are two of Australia's most experienced communication and leadership coaches and trainers. They can provide the professional guidance and expertise to take your performance to the next level. They work discreetly with individuals and teams from some of Australia's top tier organisations and overseas. Preparing new leaders for executive roles. We welcome your interest. Call us for a chat about how we can help you or your organisation. We can make a dramatic difference. We get results. Talk to us now.